The stunning lakeside location of this luxury hotel in Buckinghamshire, set in 5 acres of beautiful countryside, makes it an ideally placed meeting and conference destination. Crowne Plaza Marlow is ideal for training, seminars, product launches, boardroom meetings, interviews, teambuilding and brainstorming events as well as small exhibitions. All of our meeting rooms offer everything you would expect from a luxurious and contemporary hotel with attentive staff to make your event a success. The hotel is easily accessible from the M4, M25 & M40 motorways via the A404 and is located within half an hour drive from Oxford, Reading, Windsor and Henley-on-Thames. 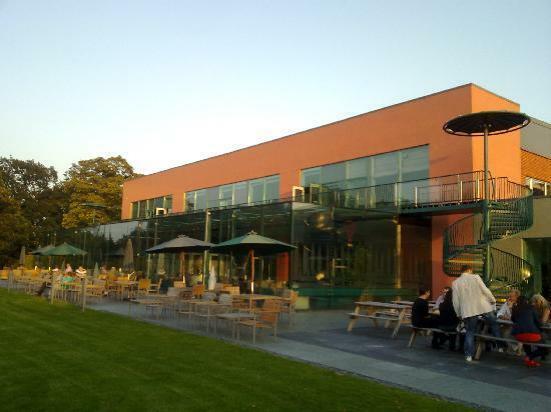 Crowne Plaza Marlow is rapidly becoming renowned for its team building opportunities. Set in 5 acres of beautiful countryside, it is the ideal setting for a wide variety of events. In the event of the Great British weather letting us down, our conservatory offers a wet weather alternative, bringing the outdoor in. This hotel is ideal for all your event requirements. with 5 acres of land it is perfect for hosting a Corporate Family Fun Day, Team Building and It's a Knockout. The Conservatory is also great for Indoor Team Building and Evening Entertainment.